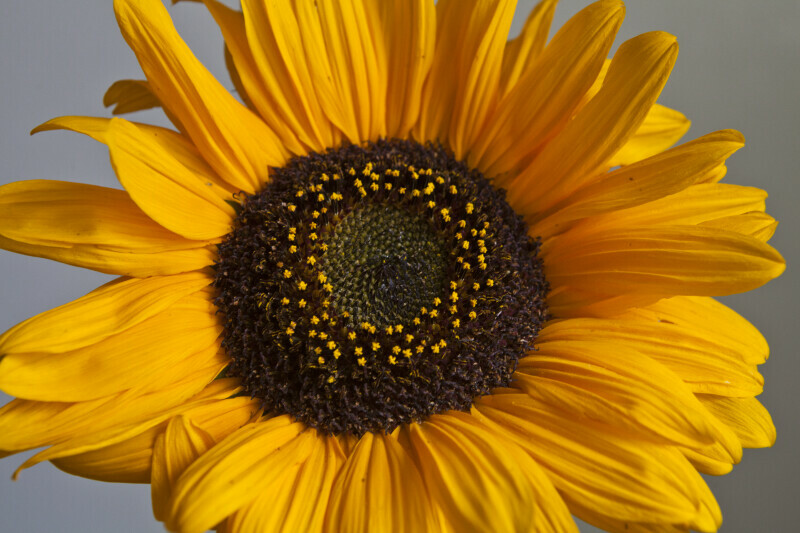 Close-up view of the flower head of a sunflower (Helianthus annuus). Sunflowers have composite flowers. The small, yellow projections in the center of the flower head are called disk flowers. The larger yellow parts extending from the brown center are called ray flowers.